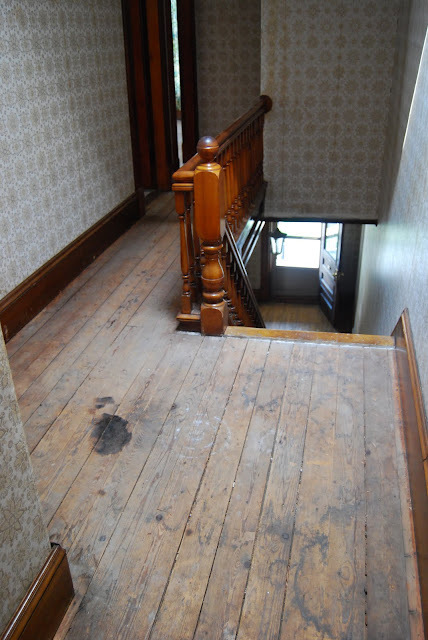 After moving into our row house in August, the first thing we did was demo ALL the floors ourselves. Because, hey, how hard could that be? We ripped up plywood floors, cat urine soaked carpet padding, carpet, and carpet tacks, exposing three-inch wide, unfinished pine or fir throughout. Did you know that every time a nail is pulled out of plywood, an angel gets his wings? Not knowing any better, I crawled around on my hands and knees for a day removing plywood and carpet nails without investing in some industrial knee pads. Derrr. Hi. Just snooping around from SITS. Looks like you have an interesting project, here. Just popped in from SITS & wanted to tell you that I HEART THE WOOD FLOORS! I was checking out some of your other posts and thought I saw some floor painting going on. Im off to stalk your blog for an hour or so. i feel your pain. we did the very same thing to our house when we bought it. out, out shag carpet! we, luckily, did not have to contend with cat urine. 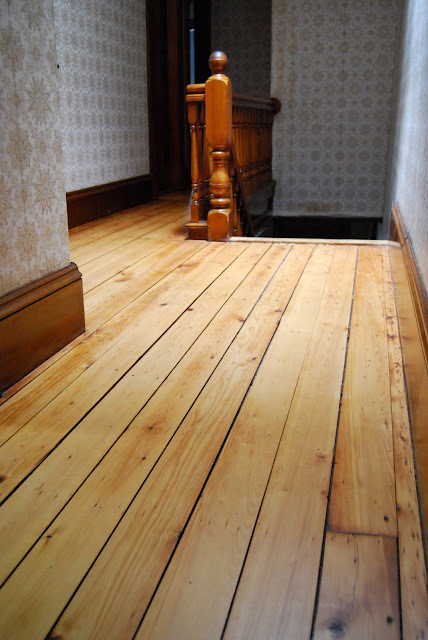 the wood floors are amazingly gorgeous!!! what a project you guys are doing! i live in a house that was built in 1926 and wish we could restore it to its original glory! my hubby has uber modern taste, so we keep moving in that direction! thanks for stopping by to visit my blog today! i can't wait to watch this progress! Oh, my, that floor is gorgeous! Do you know how much people pay for this look??? So great!